Today only: Monster Kolor pays your shipping on your Tenacious order!! Today only: Benny is up at Monster Kolor to take a kaiju painting class... To celebrate the road trip, Matt Walker from Monster Kolor has very graciously offered to cover your ship costs on your orders from www.tenacioustoys.com !!! What a wicked cool guy! Go nuts! All orders qualify today! 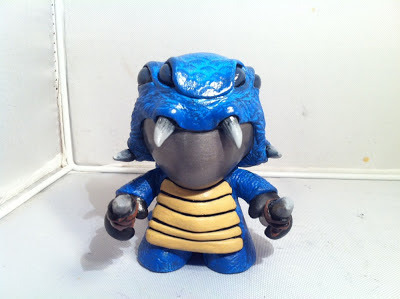 Make sure to check out www.monsterkolor.com as well. Posted on Joe Ledbetter's site a few days ago, while his shipping department on holiday, Joe Ledbetter is making all of his available prints 25% cheaper. All you have to do is use the promo code: SUPERJUNE. Keep in mind that the shipping department is on holiday, so orders are expected to ship in July. 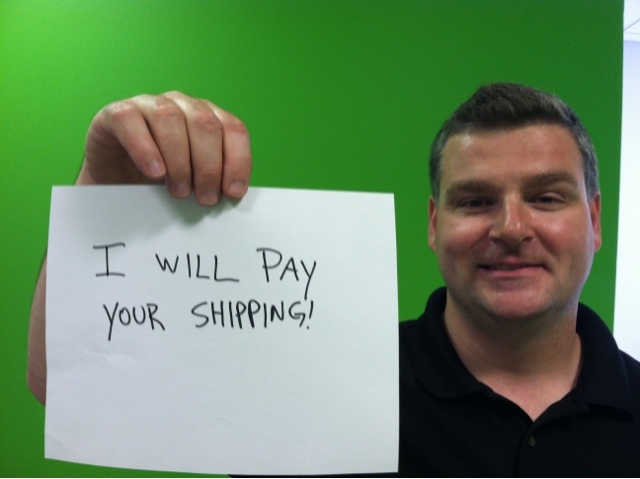 To make the deal even better, Joe Ledbetter is offering Flat Rate Shipping: $12 for Domestic (US) and $32 for International shipping. 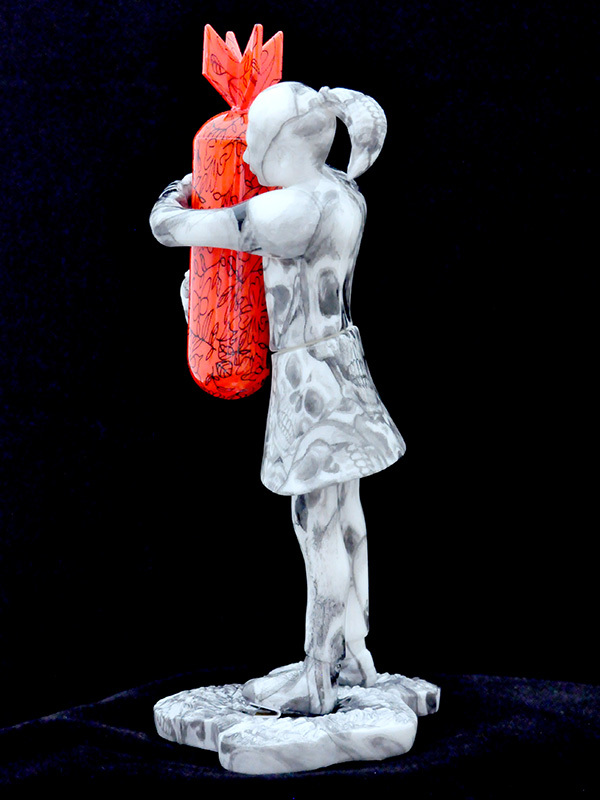 Free shipping is provided for any order over $300 for Domestic and $450 for International orders. With prints and print sets ranging from $60 to $250, this is definitely a great opportunity for any Ledbetter collector to expand his/her 2D collection! Argonaut Resins and Small Angry Monster are back with some new custom resins featuring the "Machine Cat" Tuttz Mini, "Machine Dog" Pharaoh Hound Mini and the Sucio "Machine Mouse" designs. 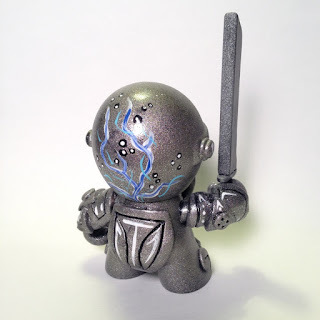 This is wave one in a series of colorways they have planned for the all new Machine styled resins. Also available will be the Cursed 8 inch Tuttz customs as a collabo between Small Angry Monster and myself. Each Cursed cat will come with a sand encrusted custom painted body along with a custom hand painted matching stone textured box packaging. This piece, designed for this Sub-Urban Vinyl's G.I. Joe show is from Rusted Halo. "B.A.T.S." is built on the 3" G.I. Joe base produced by the Loyal Subjects. It is available for $75 now on the Sub-Urban Vinyl website. Magnebricks are innovative building blocks featuring powerful magnets and interlocking features for creative play with a fun "click"! Each 22x44mm brick contains 10 of the most powerful rare earth magnets (Neodymium Grade 52) that we could fit inside each of the 10 facets. What makes Magnebricks special as an activity for kids is that each brick has male and female interlocking features allowing for building along all 3 Axis in both full and half-brick steps. The interlocking features not only help to strengthen the connection, but also make it easy to know which faces will attract. We have taken the best of the traditional plastic building bricks we’re all familiar with and added the magical magnetic attraction that kids (and adults) love. In addition to building in 2D and 3D on your desk, you can even play a building blocks game on your refrigerator (or many other metallic surfaces) for even more creative play! MagneBricks are also great for children, adults, and the elderly who may not have the manual dexterity required of other building blocks such as Lego. They can be used for Occupational Therapy for special needs such as Autism and developmental delays since they automatically pull together and interlock when near each other. I'm a backer! I'm gonna send my MagneBricks to my niece and nephew on the West coast. 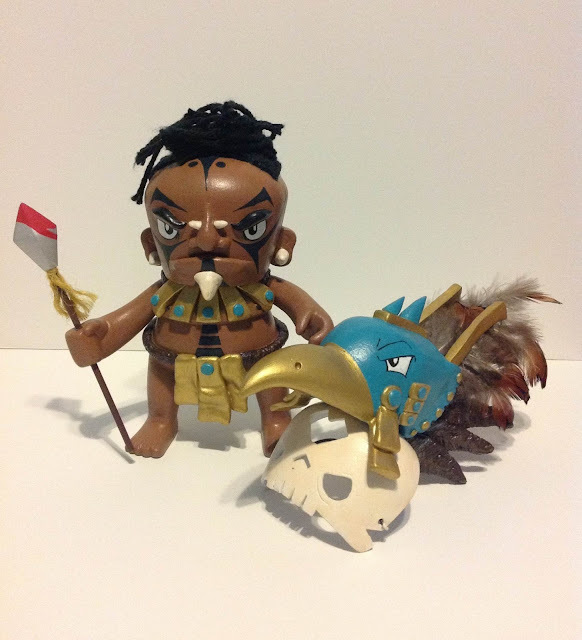 Click here to read more, and to back the Kickstarter to bring this fun toy project to life! So, if you're like me, you've been ripping into Blindboxes of Kidrobot's new Dunny 2013 Sideshow- and haven't pulled Ardabus Rubber's Ruck design (1/40)- but, the Artist Proofs are coming up for sale quick! With more than just a couple embellishments, these APs are mouth-watering- I spy teal, purple, silver, black and white dripping, linework and spatters! These APs+Limited Edition prints drop 6PM PST 6/21/2013 - tomorrow- on Ardabus' eStore here. But it doesn't stop there- Ardabus is releasing some Deluxe AP packages that will include the hand-painted embellished AP, a series of limited edition prints, hand painted decorative box, and an additional hand-painted custom inverted Ruck colorway dunny. Just like a custom chase! Keep an eye peeled on Ardabus' eStore, and while you're there, scope out his brand new hand-painted art prints. "My First Crush" Hand-painted art print 1/1 available, pre-framed, here. "...One Possible Ending" Fight Club inspired hand-painted art print 1/1 available, pre-framed, here. 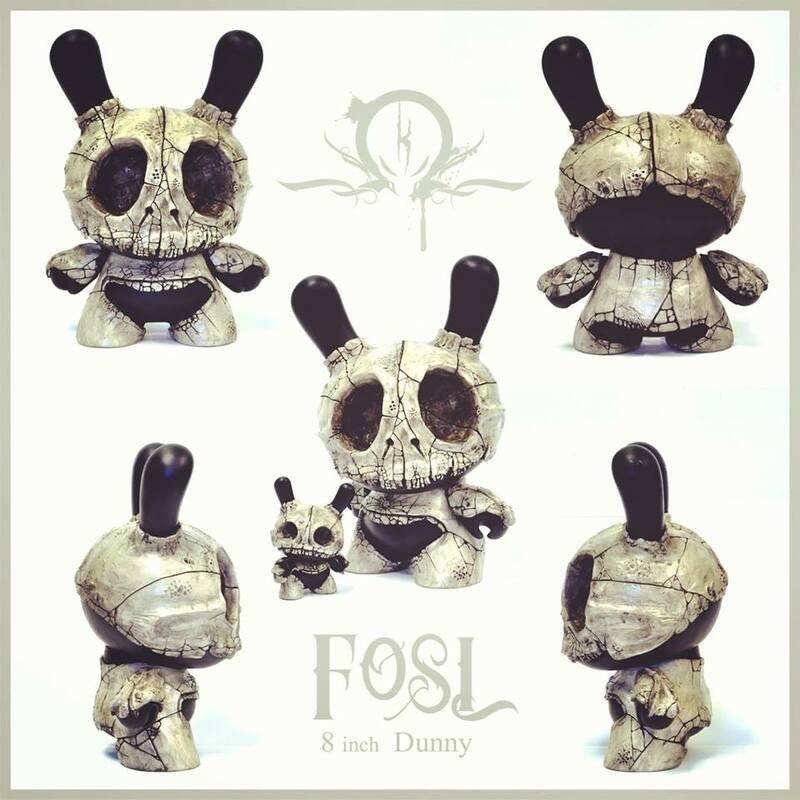 As well as a dynamic duo 8" Dunny and Custom Coin Up set that is now available here. "He is torn right out of a steampunk dreamland. His craft is in the fine art creations from found materials such as cogs and gears. The mask hides and protects his identity, for if people knew what was beneath the mask, then ... well I will leave that for your imagination." 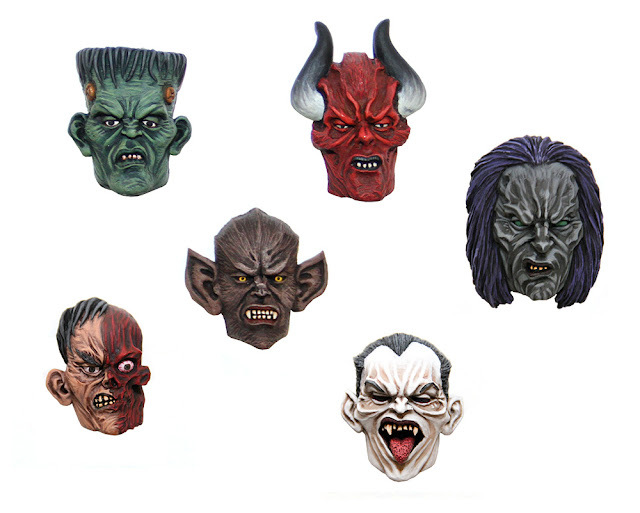 These cold-cast resin and brass masks come in a painted version for £20 and DIY unpainted for £15 on Collect And Display. I just reconnected with an old buddy who is relaunching his Marvel collectible site Herowiz.com. 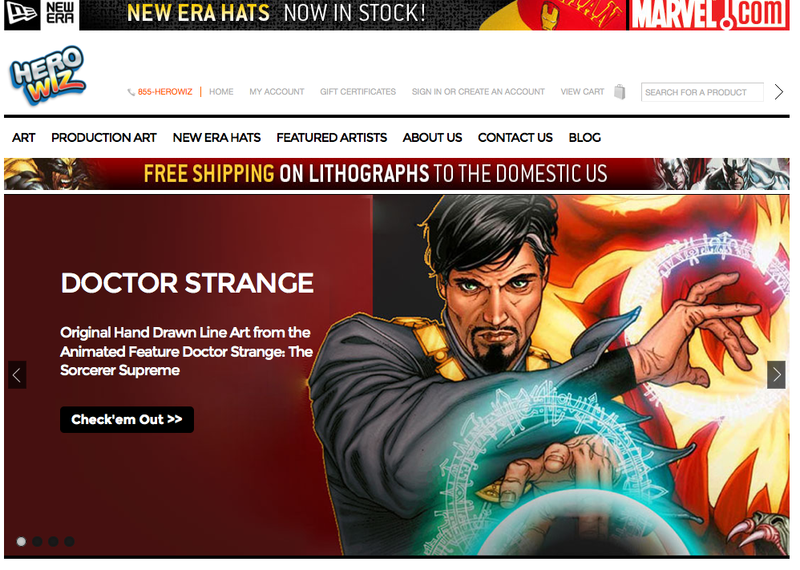 This website, a family-run business, is focused on the sale of Marvel artwork, lithographs, giclees, toys, collectibles and caps- all Marvel, all the time. The HeroWiz site has been completely redesigned for a better user experience. A screen shot is above- pretty tight web design! If you are looking for big, awesome, hand-drawn Marvel sketches- 100% unique pieces of artwork that you can frame and display in your home- look no further than my friends at Herowiz. To help them promote the relaunch, we will be orchestrating a tag-team promotional giveaway contest soon! Stay tuned. 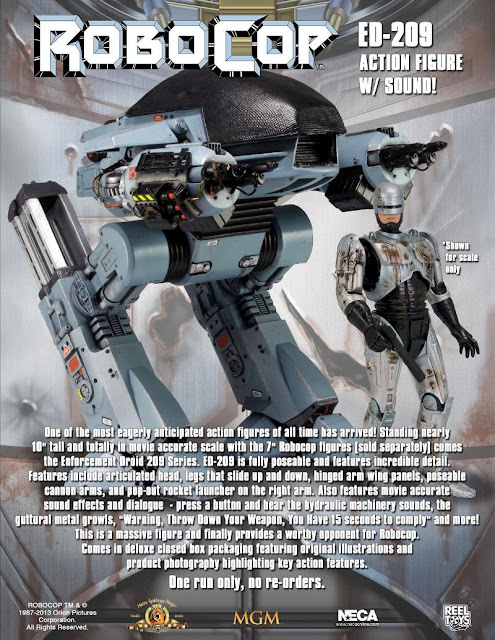 NECA is rolling out a movie-accurate, highly-articulated 10" action figure of the ED-209 robot from Robocop, to scale with the 7" Robocop action figures previously released. This figure looks sick! 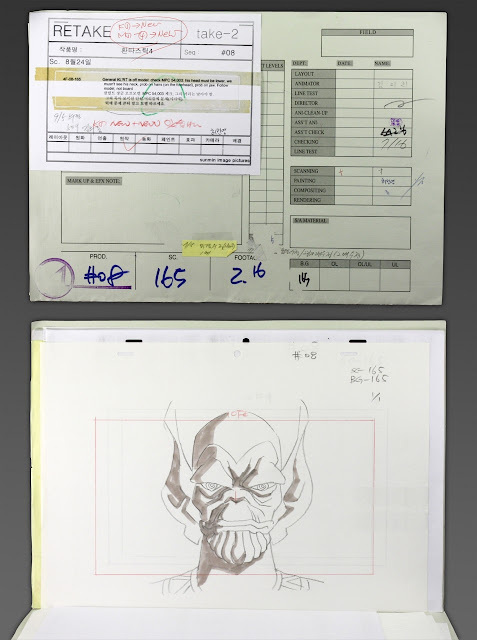 Features sound bites from the movie. Apparently they are running one production run only. Expect to pay about $70-ish at your favorite retailer for this one. Please let us know if you're interested... to be honest, we're a small shop so we often can't compete on price with the big retailers, but if there's enough interest, we'll place an order. 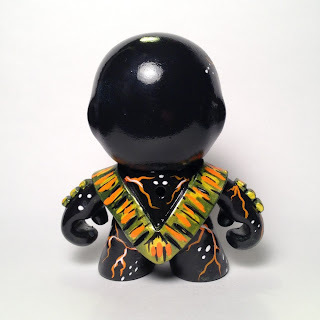 "First prototype images of my upcoming vinyltoy release "ZOMBIE GOO"
Yesterday I posted an image of the prototype on my FACEBOOK page - today I fully reveal what's my upcoming vinyltoy release called ZOMBIE GOO. Before we continue with the TUBE MONSTER series I decided to be part of the worldwide Zombie Apocalyse. So I stepped deep down into my lab and created some "ZOMBIE GOO" put it into a tube so whenever you want you can squeeze out your own little ZOMBIE. While squeezing - be aware that the zombie could grab your head and rip out your brain - you've been warned!!!" 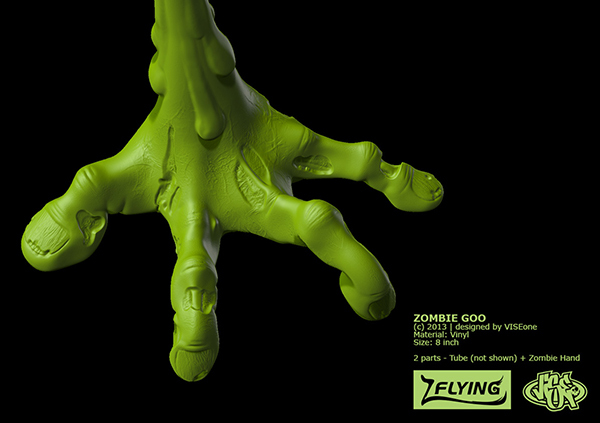 ZOMBIE GOO is another cooperation between VISEone & Flying LuLu. It will be approx. 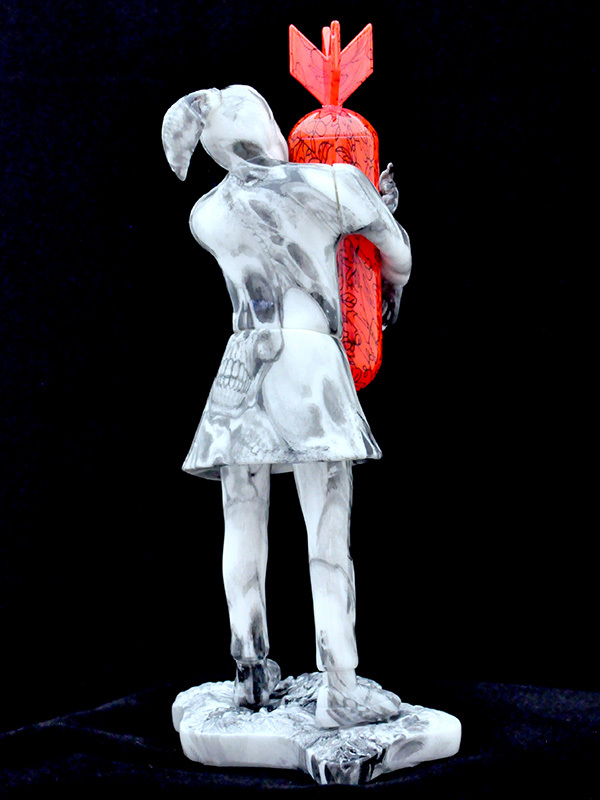 8" in height. We are planning several colorways which will be revealed during this summer. Edition size is not set yet. so if any gallery or store is interested in holding a release party/custom show - please contact me!" 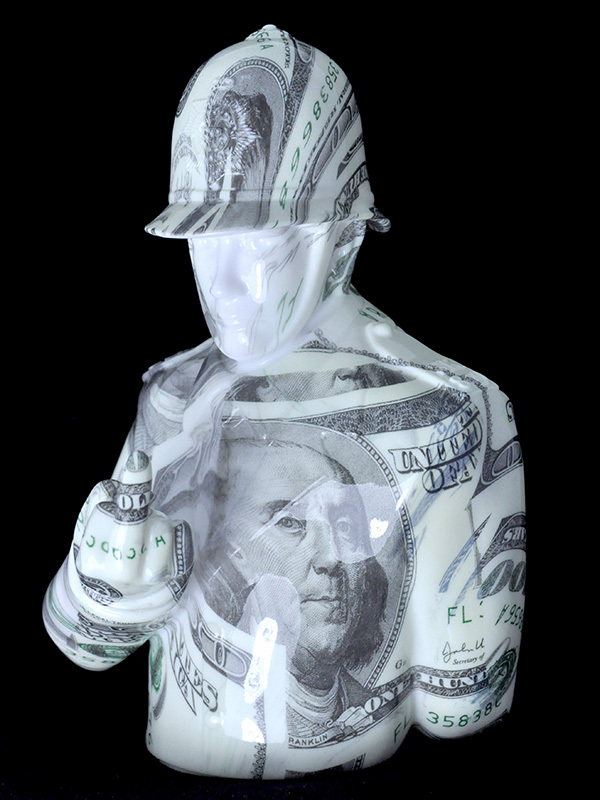 This piece, designed for this Sub-Urban Vinyl's G.I. Joe show is from Forces of Dorkness. "Scorpion" is built on the 3" G.I. Joe base produced by the Loyal Subjects. It is available for $100 now on the Sub-Urban Vinyl website. This piece, designed for this Sub-Urban Vinyl's G.I. Joe show is from Jay222. "Cobra Commander as Cobra" is built on the 3" G.I. Joe base produced by the Loyal Subjects. It is available for $100 now on the Sub-Urban Vinyl website. This piece, designed for this Sub-Urban Vinyl's G.I. Joe show is from JC Rivera. "Explorer 1" is built on the 3" G.I. Joe base produced by the Loyal Subjects. It is available for $75 now on the Sub-Urban Vinyl website. So awesome! I backed it. You can back it too by clicking here. $20 gets ya a full set of 10 flesh-toned SUCKLE figures. Cool to see the big boys like DKE using Kickstarter as a funding method for fun projects. Can't help but to feel like me and Scott Tolleson helped legitimize this process for collectors of art toys. Very proud to be a trailblazer in that respect. 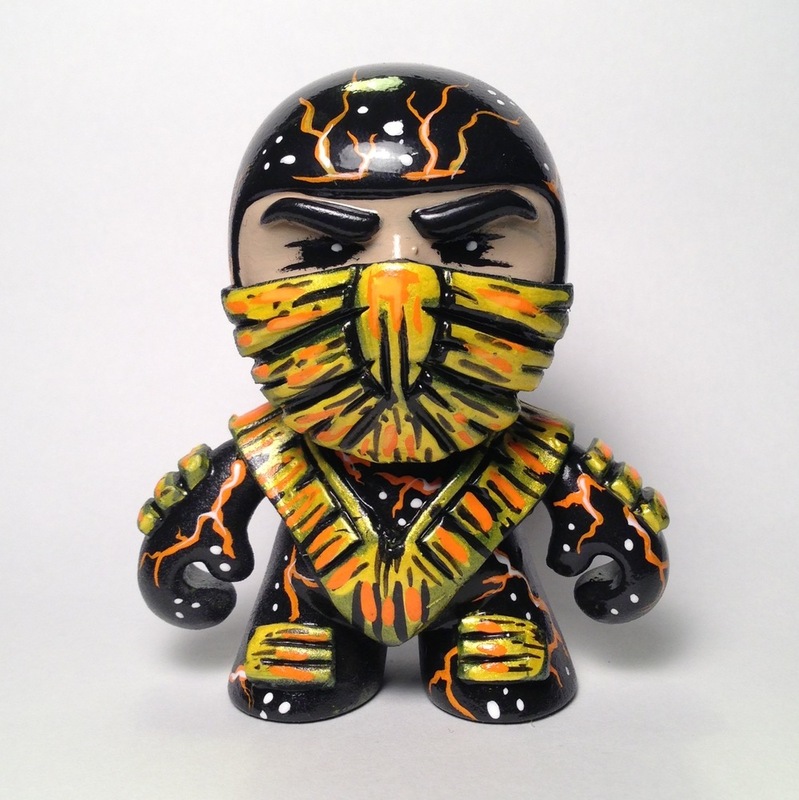 We have seen this design on 3 inch Dunny's but finally kOmega did it on an 8 inch Dunny. Once again impressive work. This piece, designed for this Sub-Urban Vinyl's G.I. Joe show is from Forces of Dorkness. "Sir Snake Eyes" is built on the 3" G.I. Joe base produced by the Loyal Subjects. It is available for $50 now on the Sub-Urban Vinyl website. 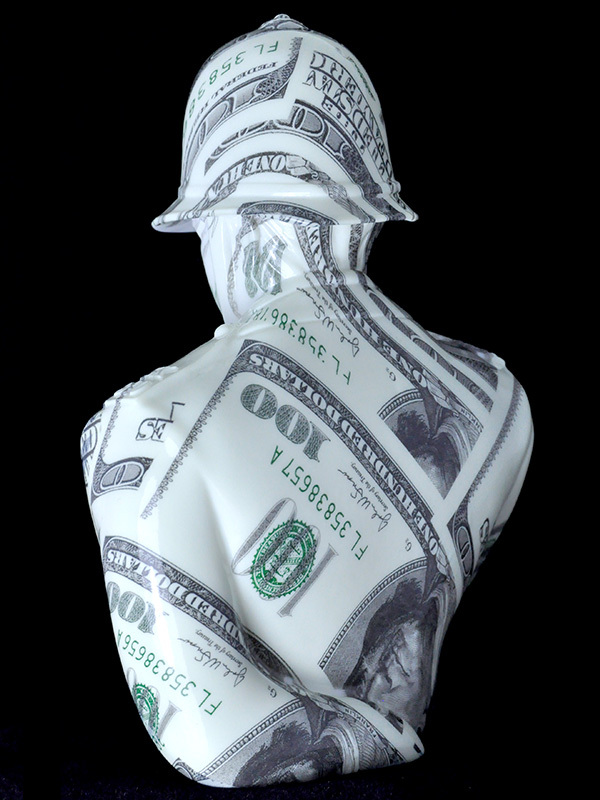 This piece, designed for this Sub-Urban Vinyl's G.I. 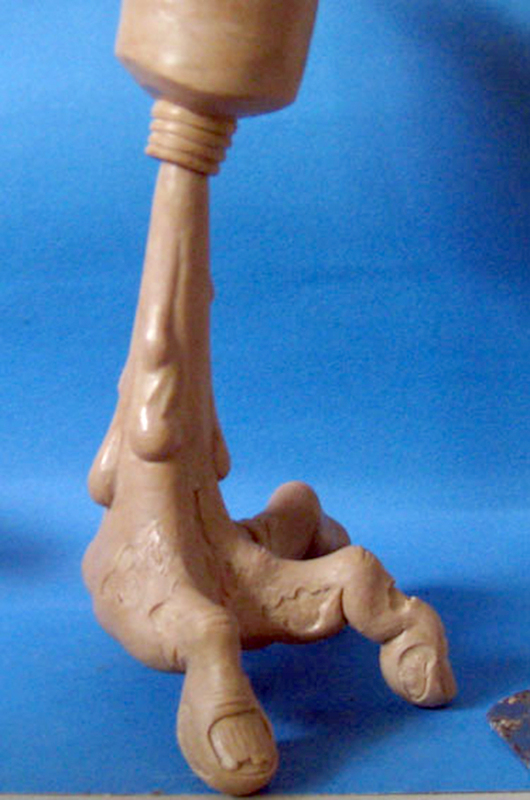 Joe show is from Dead Hand Toys. "Dreiko" is built on the 3" G.I. Joe base produced by the Loyal Subjects. It is available for $150 now on the Sub-Urban Vinyl website. Totally missed this one....grrrrrr it went directly to my spam folder. 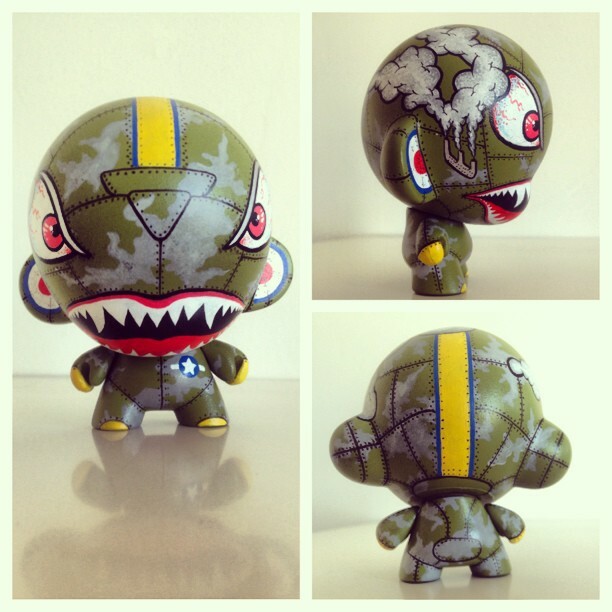 Extremely love the army look on this custom Munny. Great job! The Kaprabob species leaves in all different parts of the world. One of the rarest Clan of Kaprabobs. The Reef Clan can live in water and land, but there are mostly known to stay in hiding in the reef walls of the ocean. All Reef Clan Kaprabobs resemble the native fish swimming in the reefs. The Desert Clan happens to be one of the most aggressive clans known to the Kaprabob species. They are always looking for a fight. Most have the scars to show it. The Coast Clan are friendly. They spend most of there day fishing for food, and are always willing to hand some of there catch to other clans that have o food. More Clans of Kaprabobs or being discovered every day. best way to keep up on all the new ones is to fallow me on instagram @troymartinart or going to www.troymartinart.com. 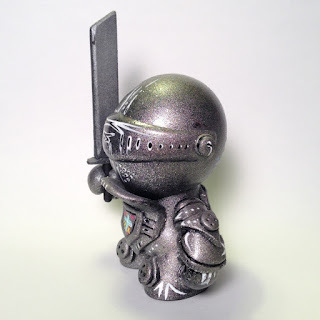 Each month throughout 2013 Fresh Monkey Fiction will run a series of art auctions based on the exciting world of RetroBots mini figures. 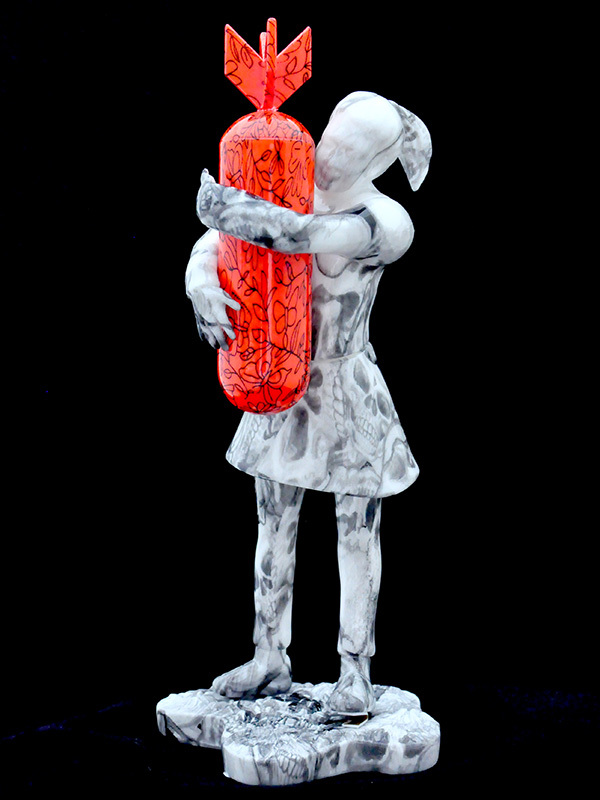 Auctions will included redesigned and handcrafted custom figures as well as art prints and photography. We have been very fortunate to recruit some great artists, including some of the best up-and-coming urban vinyl/DIY art toy designers and customizers, photographers and graphic artists that are all telling stories through their art. 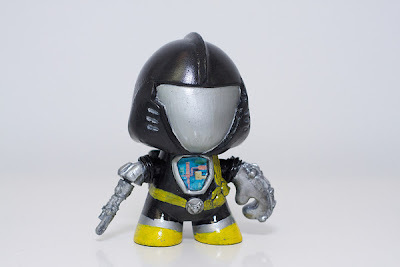 Leading off this effort, toy customizer Ersico has graciously donated the first in a series of RetroBots custom figures to be offered starting June 17th, 2013. Obscure made this custom for the Beefy & Co's custom show, " The Ghost Within Us." 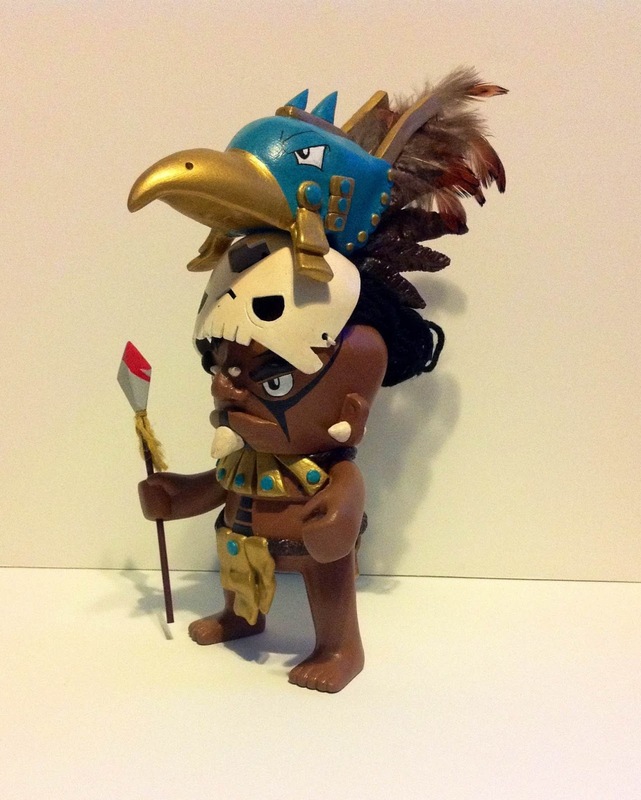 It is titled, "Ah Tabai" the Mayan Warrior Hunter god. The show will be showcased at Beefy & Co's booth at the San Diego Comic Con. 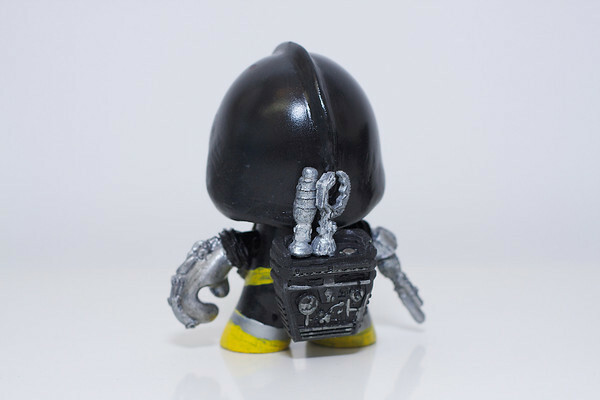 Comic Con is right around the corner, so people could keep up with the progression of the completed customs if they follow Beefy. His website is www.beefyco.com. 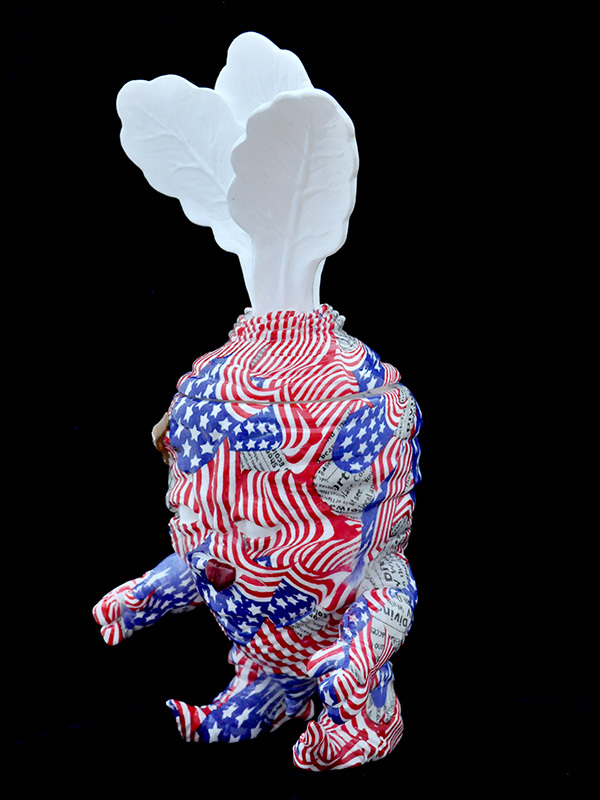 TOY ART GALLERY will be hosting the DEADBEET CUSTOM SHOW - starting 29th of june. 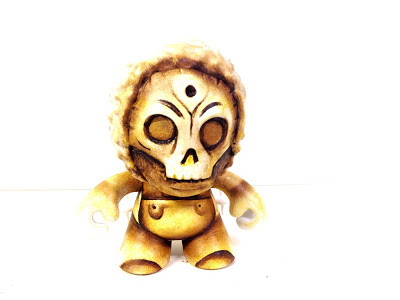 DEADBEET is a 8" character created by Scott Tolleson (sculpted by George Gaspar of October Toys). Related to my COMIC STRIPPED collage style I tried a new collage technique here. The custom will be for sale at Toy Art Gallery during the show. 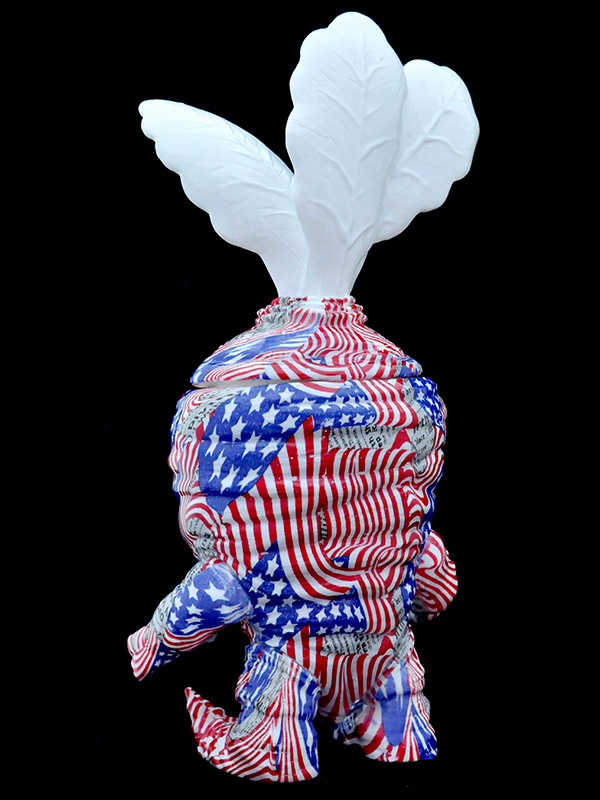 A few months ago I recieved a package by a new brand called APOLOGIES TO BANKSY to work on some toy customs based on BANKSYS artwork. 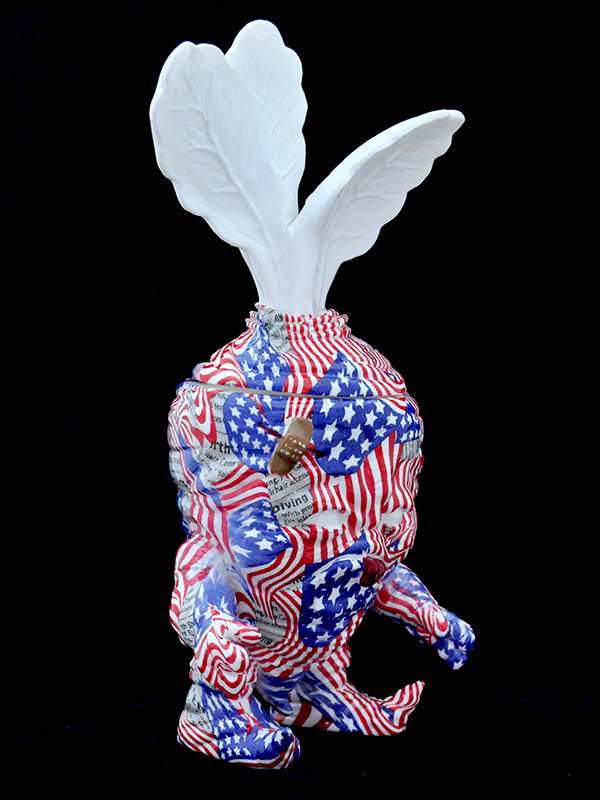 I'm currently working on more of those for a custom show held by APOLOGIES TO BANKSY in the UK. 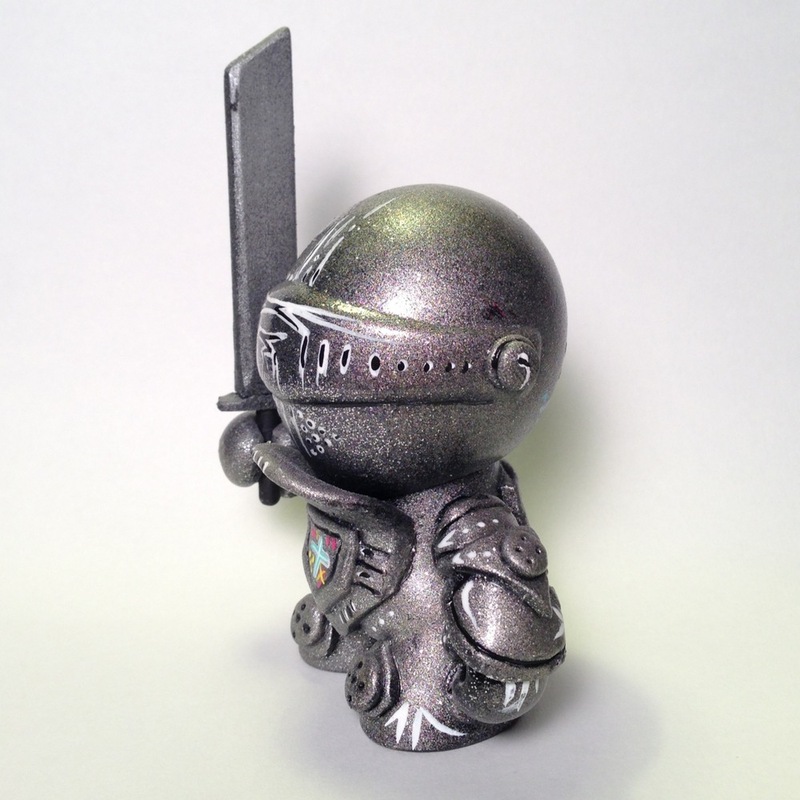 This set of six Monster Magnets (series 2) was cast in gray resin, sculpted, cast and molded by the very talented Argonaut Resins. SoKo Cat has brought each of these amazing characters (Vampyr, FrankenHulk, WereDude, Demon, Phantom and Warlock) to life with her remarkable painting talent. Each creature has been highlighted (no pun intended) in their own unique way, resulting in wonderful characters as a part of an extraordinary collection. The set is available for purchase at the show for $200. They may also be sold individually for $40 each. 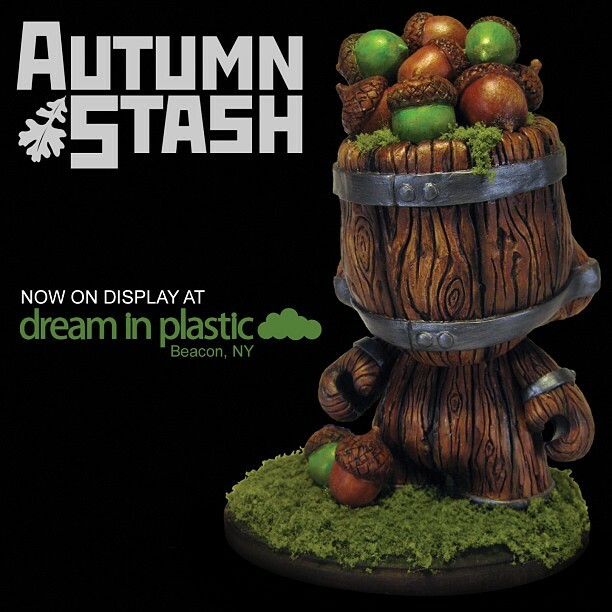 Dream in Plastic's Custom Toy Show will run from June 8 to July 12 at their shop (177 Main Street, Beacon, N.Y. 12508).